The original Ancestral home was built on this site in the early 1400s. 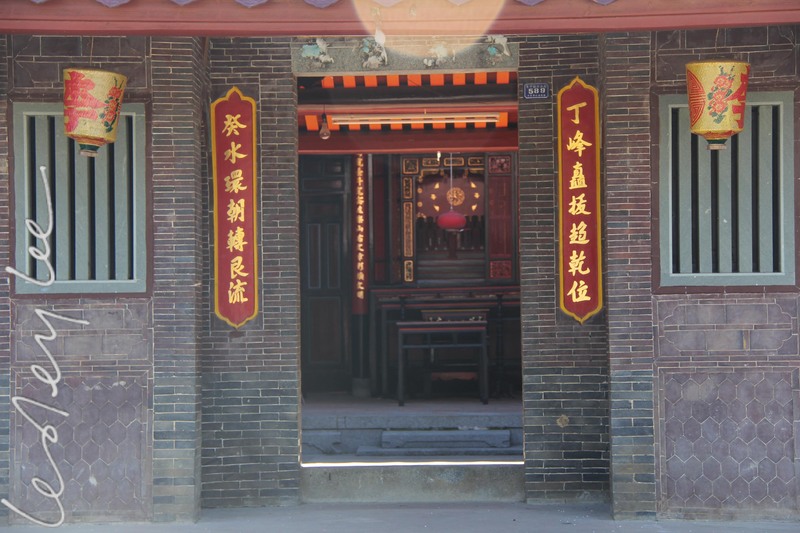 When we first decided to visit the family ancestral home in Yong Chun, Fujian, it was with some trepidation. After all, we’d listened to Amah’s stories of how they weren’t really very interested in seeing those who’d run off to a ‘better life’, unless they came bearing bags of goodies. This was countered by the voices of many other relatives who came back with very positive stories. 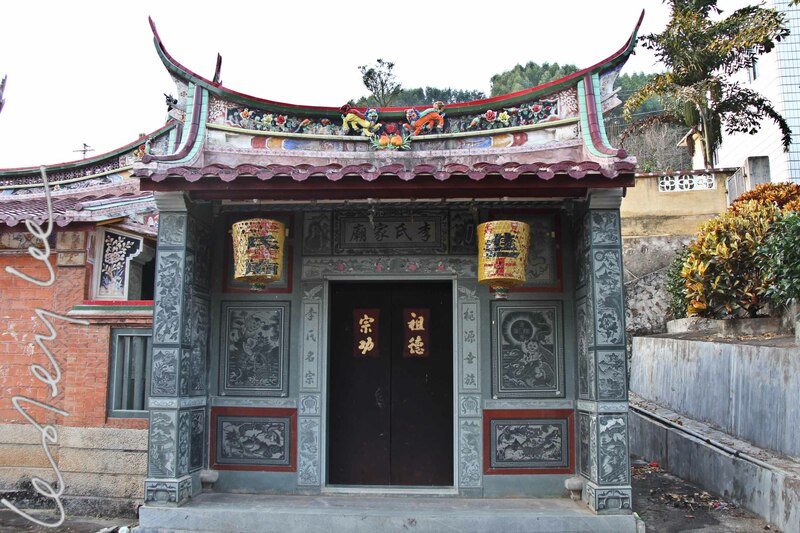 We rationalised that, as Amah had gone back not long after the cultural revolution and great famine, it wasn’t surprising if those she was visiting felt a sense of deprivation and welcomed any luxuries they could get their hands on. So…. We set out deciding to make it an adventure. We didn’t go with any of the rellies who’d been before, we just had a phone number of a second cousin and a general idea of how to get there from Xiamen, our nearest fly-in airport. What we found was a thriving community, largely agricultural – most of the Chinese New Year mandarins come from this area, and a bustling economy. Despite one of us (not me of course) speaking Mandarin, we managed to get the ‘wrong’ bus station out of Xiamen, which was the slow bus terminal as opposed to the Express (fancy) bus. I was lucky !!! to get seat #1, which offered me a clear view of the road ahead as well as everything that was about to ensure the immediate demise of all of us. Chinese drivers are manic and they keep their hands on the horn even more than the Hanoi-ans do. Our contact asked us to get off the bus at the roundabout just as we reached the centre of town, which we duly did and I was horrified to find that we needed to climb on the backs of motorcycles, with our big bags, for the 5 minute ride to our hotel. I have little recollection of that journey, my eyes were tight shut. We planned to stay only two nights, ‘just in case’ but we found the people we met so welcoming and friendly that we are already looking forward to our next visit, this time with more of our relatives in tow. We visited Ah Kong’s (grandfather) grave, high up in the mandarin terraces. After our first motorcycle experience, we decided to take a two wheeled chance again and rode pillion up steep slippery slopes and down again. It was certainly much quicker than had we walked, and cooler. I managed to keep my eyes open on the way down, I figured if this was to be the last day of my life, I might as well relax. On the way down the hill we stopped to visit the grave of Ah Kong’s first wife, who had remained in China when he left for Malaya so many years ago. This grave may not last for long, the road is due to be widened and it will just ‘go’. Swa Kia, the village where the family lives, is pretty and the crops seemed to be doing well, apart from the mandarins which had contracted some mystery blight. 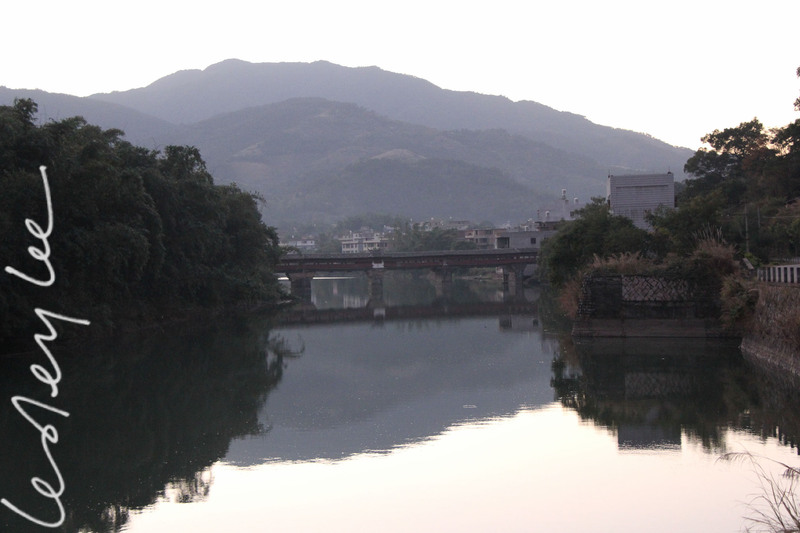 Just along the river is a beautiful Song Dynasty covered bridge, which has been in use for a thousand years. It is still in use today and we walked across, stopping at the little altar half way. The newly built family temple is a focal point and we visited a hill temple which houses the bones of a deity which were kept by local families and collected after the original temple was destroyed in the Cultural Revolution. 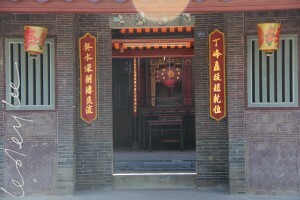 The family temple with tablets for the departed on the altar. We visited Amah’s ancestral village as well, it was on the road between Yong Chun and Swa Kia, though just for lunch. This village is well known for the mee-swa (fine rice noodles) made there and we were looking forward to enjoying a dish of mee swa soup like Amah used to make – a clear soup with a little meat and vege and the mee swa soft but easy to eat with chopsticks. What we had was rather different, much thicker and ‘substantial’. Tasty, it had yam mixed in as well, but not a patch on Amah’s recipe. The hospitality of our relatives was a very pleasant surprise. They were so welcoming and were most forgiving of my rather awful Hokkien, but we were able to converse relatively easily. We even had an invitation back the next day for lunch and a ride to our next destination, Quanzhou with the daughter of the house and her husband, which was lovely.